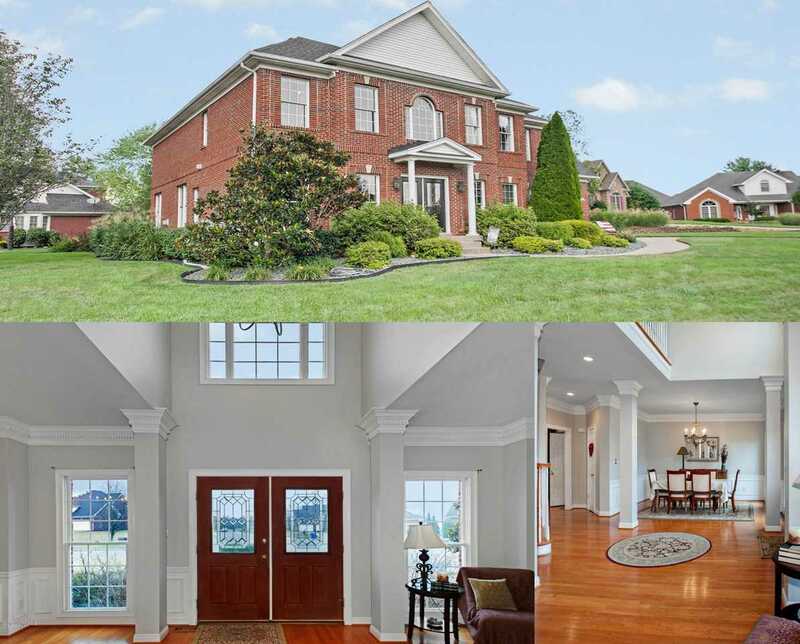 Open Sunday, Feb. 10th 2-4 p.m.*Original owners custom built this home and pride of ownership shows*Situated on a culdesac in North Oldham school district*The custom features will not disappoint*Vaulted ceilings, extensive crown moldings throughout*Main level consists of newly painted 2-story foyer, formal dining room, living room (can be used as office and closed off), great room, eat in kitchen, drop zone, and half bath*Hardwood floors throughout most of main level*2nd floor houses the Master Suite, laundry room, and 3 additional bedrooms with one ensuite bathroom and a Jack & Jill bathroom*Finished basement has full bathroom, family room, and two additional rooms (no egress)*3 Car Garage*Newer Roof/Water Heater*Patio & Deck*Irrigation*New carpet throughout*Extended driveway for additional drivers and great for sports*Mature landscaping surrounds the .39 acre lot*See additional home description document for the break down of each room's special features*Glen Oaks has a stocked fishing pond and optional country club membership PLUS within a mile to Norton Commons YMCA, shops and restaurants, Costco, Cabelas and Norton's Children's Hospital**Call for your private showing! Lot Size: 0.39 Acres / 16779 Sq. Ft. Directions:Home is 2.7 miles from 22/265 corridor, Hwy 22 to Hwy 1694, Turn on Stone School then Worthington Ln, then Laurel Ln, Home located in the small culdesac. SchoolsClick map icons below to view information for schools near 6104 Laurel Ln Prospect, KY 40059.